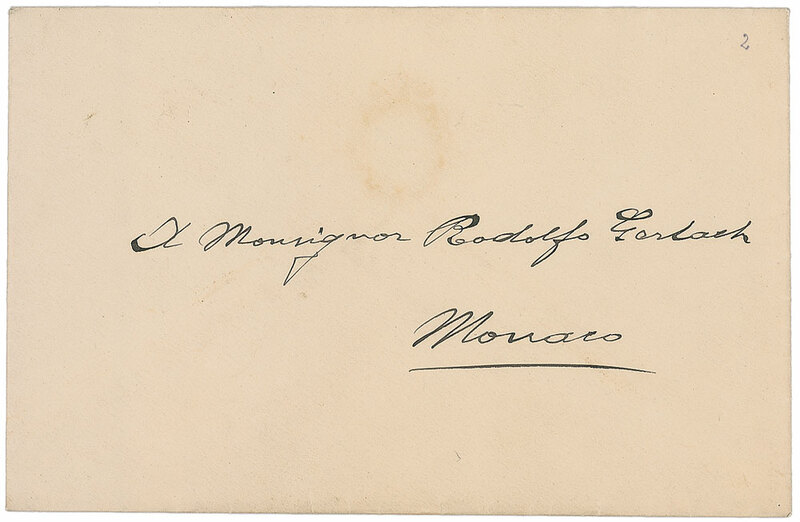 vormals Giacomo della Chiesa (1854-1914-1922), Papst von 1914-1922. 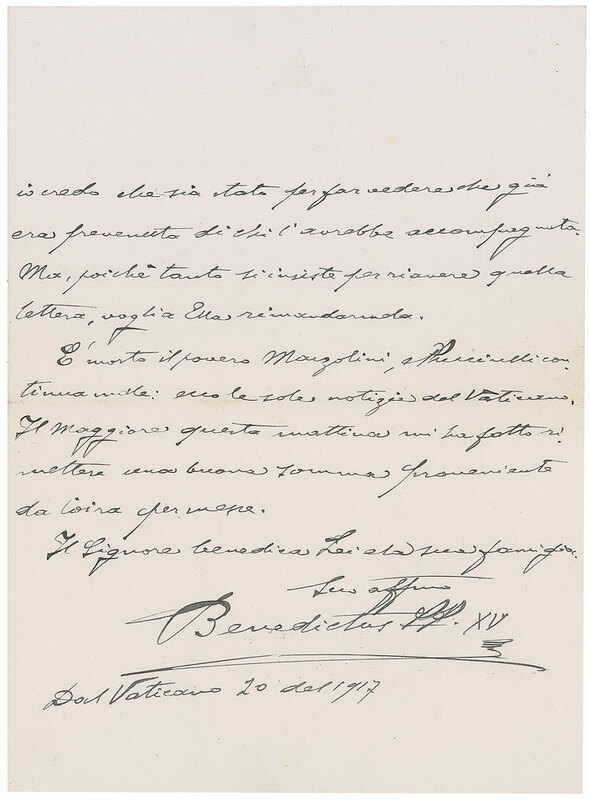 Autograph letter signed („Benedictus PP. 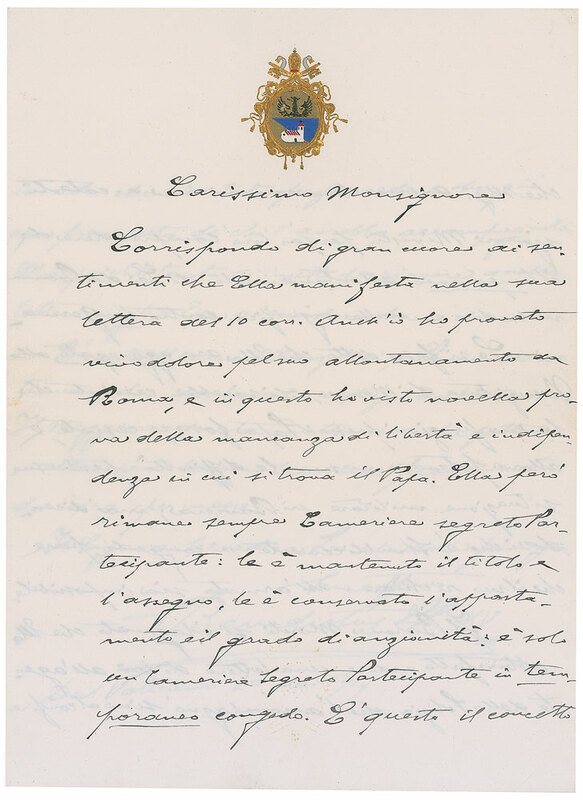 XV“). Vatikan. 4to. 3 SS. Mit Wappenprägung in Gold, Silber und Farben. Mit eh. adressiertem Umschlag; mit Wappenprägung. 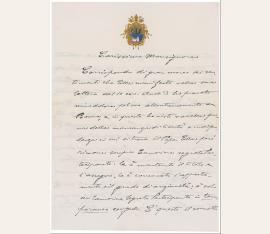 Letter to the papal secret chamberlain Rudolf Gerlach in Munich, who had a leave of absence for military service from his office in the Vatican for convocation. 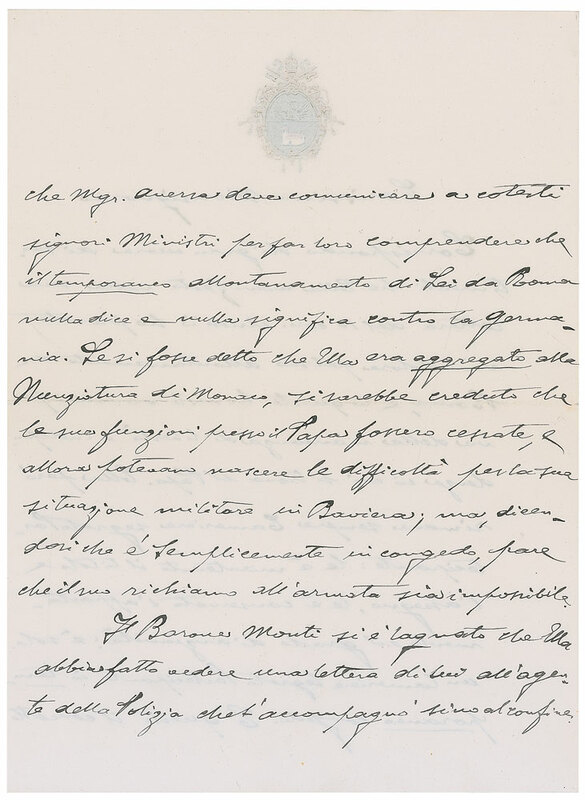 In part (roughly translated): “I too have experienced great sorrow for his departure from Rome, and in this story I have seen evidence of the lack of freedom and independence...[Yet] she retained the title and the check, the has kept the apartment and the degree of seniority…If she had said that she had joined the Nunciature of Monaco, one would have thought that his duties to the Pope had ceased, and then could cause difficulties for his military situation in Bavaria; but, saying that it is simply conceded, it seems that his call..is impossible.” In very fine condition. 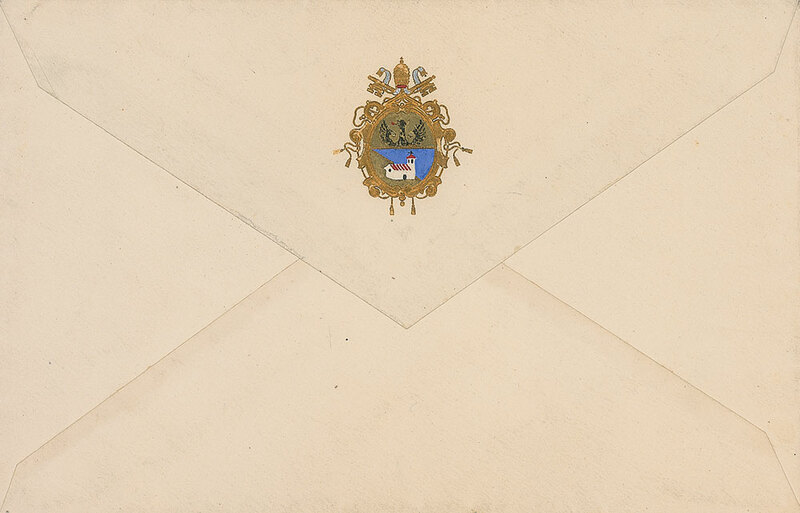 Accompanied by the original transmittal envelope..